Two Legends compete on the court! Bigben and Breakpoint reveal a new gameplay trailer in which the legendary tennis stars Andre Agassi and John McEnroe take on each other. This match will bring back great memories, but which legend would win? 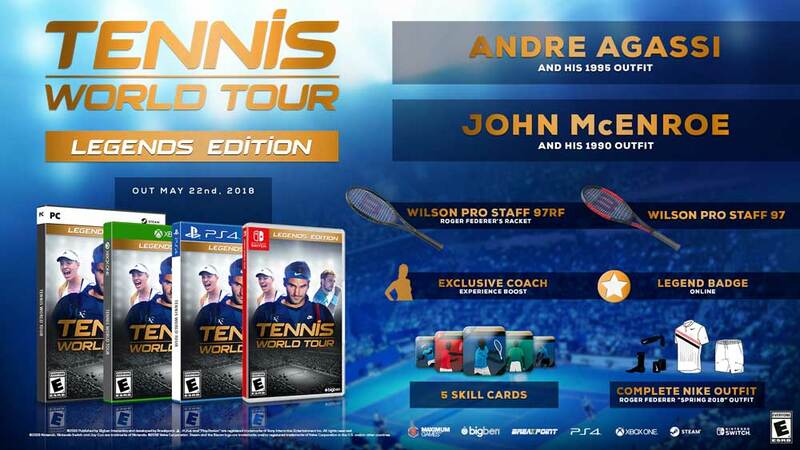 You will be able to face both players in the tournament of Tennis World Tour. Pre-order the Legends Edition now and you’ll also be able to embody these two legendary players. The Legends Edition includes the following bonuses. 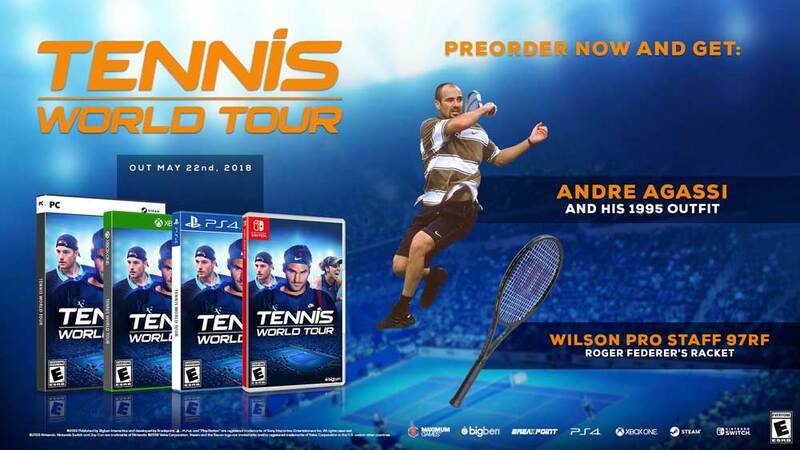 Tennis World Tour will be available May 22nd on PlayStation®4, Xbox One, Nintendo Switch™ and PC.